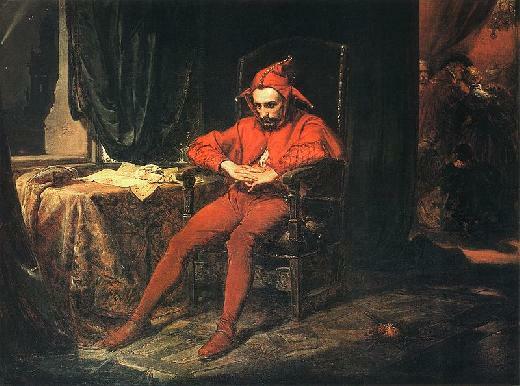 Stanczyk is very old … My portrait by Jan Matejko dates back to 1862 alone. 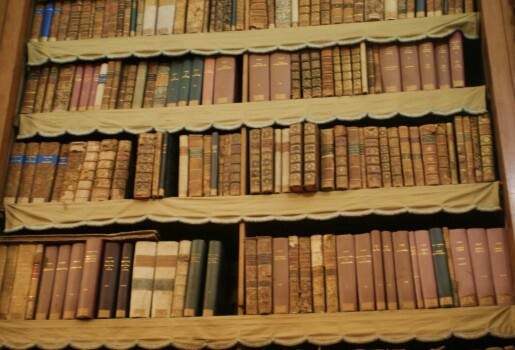 So perhaps you can forgive me if I blog about an antiquarian notion today … BOOKS. First off, I hope everyone had a Blessed and Family/Food Filled Thanksgiving Holiday (4th Thursday in November in the USA). No Amazon.com or Barnes & Noble today, although they are worthy purveyors — nor will I speak of Antiquarian Books, though I reserve that topic for another day. Historya Polska w Ameryce by Wacław Kruszka. So you can find resources that are valuable to your genealogical or history research. Although you cannot download them to your iPhone, it is still portable since it is in the “Cloud” (enough with that Internet meme). So as long you can surf the web with your iPhone (or other smartphone) your genealogical resources are portable. Google Books will also help you locate the book in a local library (or the closest library) or help you locate it via their cadre of booksellers in case you still need that tactile sense of holding a book or where an eBook is not an option. They also have magazines too! Feel free to browse (get some good Sumatra coffee ready). The Internet Archive (http://www.archive.org/details/texts) is more than just books. It also about the Web, Moving Images, Texts (books), and Audio. All intriguing in their own right. In fact, the Web portion has the infamous Wayback Machine for viewing websites as they used to be. As I read somewhere this month, the average website changes about every 28 days. Obviously, blogs skew that average. So in a sense, the Wayback Machine backs up the Internet or should I say the “Cloud”. Oops, I did promise to stop dropping that meme today. But books are what we are about today. Obviously, they get their books from Libraries and also Project Gutenberg. Also it should be obvious that these are public domain books. They store each book in a variety of formats (HTML, PDF, and various ebook formats). So you can download a book to your laptop and import that into your iBooks App (or whatever smartphone App you use) for true portability. Classics .. check, Genealogy/History .. check, Children’s Books .. double check, and Foreign Language Books too. What eBooks are on your smartphone? Perhaps we should ask that question to the famous (instead of what music is on your iPhone). Don’t be embarrassed .. go to the Internet Archive or the Next Topic (Project Gutenberg). Project Gutenberg – has been around a long time. But it has taken eBook formats, eBook readers and smartphones to bring this valuable resource to major relevance. I daresay that most smartphone Apps that have free books, probably use this website. Project Gutenberg has 36,000 books to download. Skip those Apps, use the free iBooks App that came with your iPhone, Project Gutenberg to locate the books YOU care about, download the eBook format (epub or pdf work), import the book into iTunes, find some book cover art, and synch the whole package to your iPhone/iPad for true portability and reading on the beach or in that research archive or at the museum or that archaeology dig you have been promising yourself. LibraryThing (www.librarything.com) – You must be a bibliophile or bibliophage or why else are you reading this post. Well here is a website that is a bit different. LibraryThing will allow you to upload your library (200 books for free). Now you are not uploading books, but the data about the books or possibly its cover. You can enter the data or specify the ISBN and allow the website to locate the metadata that describes the book in your collection. If that is all it did, it would be mostly useful to libraries and librarians — which it is useful for and they provide a way to bulk load their entire catalogs. But it is a kind of social-network for bibliophiles or for authors trying to sell books to readers of their genre. I like the Zeitgeist feature for understanding what is out there. I also like to compare my books to others and wonder about what others users whose books overlap with my book collection are like and what that says about me. There are also book groups and local ties to bookstores, libraries, museums and other book events. There are so many ways to use this website collaboratively. Take a peak. Enjoy the books and the other book readers too!